A deliciously creamy high quality drinking chocolate made from cocoa, used as a heavenly dark chocolate flavoured beverage when added with fresh milk and steamed at the espresso machine, or for dusting cappuccino. This milk chocolate powder comes as a 2kg bag with zip lock.​ Packaged in a resealable zip lock bag and will keep good for 24 months. ​We've been providing our cafe customers with this 2kg pack of dark drinking chocolate for around ten years, now available online so you can grab a bag anytime. This chocolate, which is actually better known as Milk Chocolate, but in the world of drinking chocolate, the name Milk Chocolate is reserved for white chocolate - confused? I was. To make it easy, this dark chocolate is the one you'll use when making a hot chocolate and its also the chocolate you'd use for sprinkling on cappuccino. 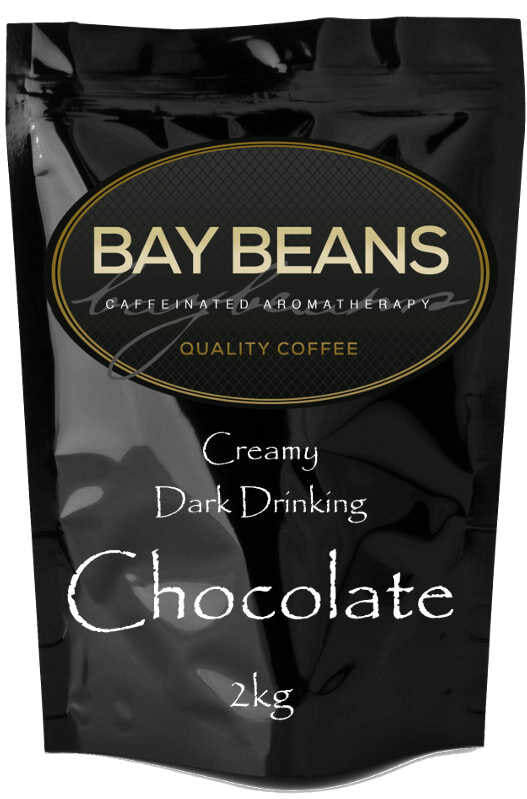 Submit your own review of Bay Beans Drinking Chocolate.